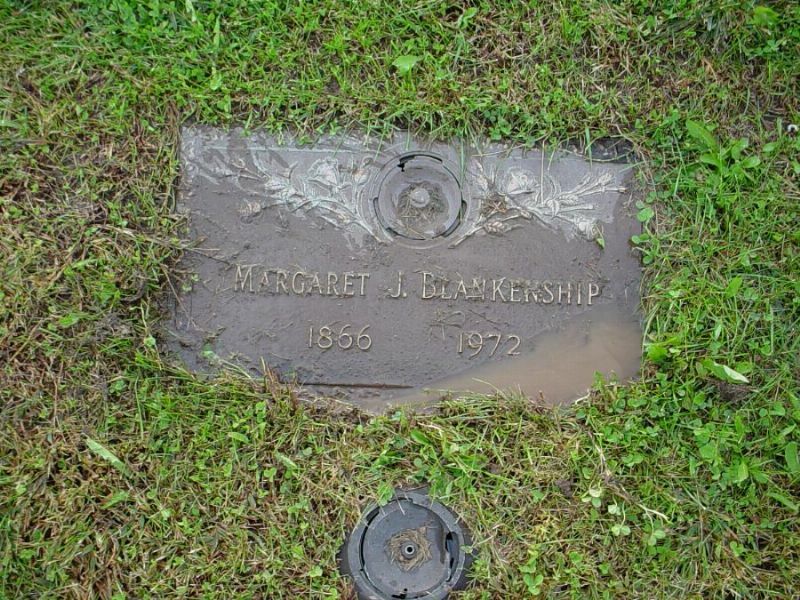 Margaret J. Knipp, the daughter of Nathaniel Knipp and Martha A. Scott, was born 12 Oct 1866 in Callaway County, Missouri. She died 15 Feb 1972 in Riverside County, California. In 1890, Margaret J. Knipp married Elijah Peter Blankenship, a survivor of Gettysburg. 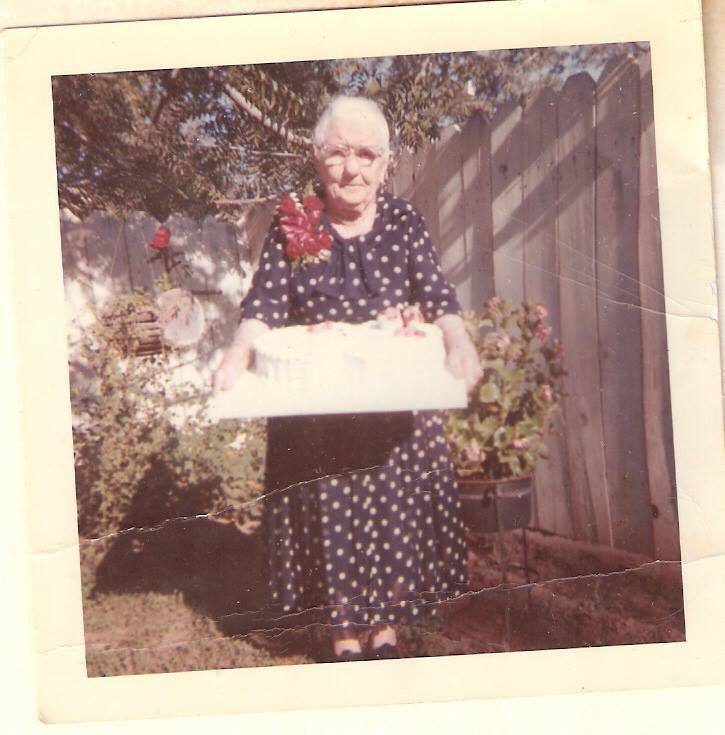 Rosalie Wertz says “I remember Aunt Mag Knipp Blankenship. She came to Missouri from Ca. to celebrate her 100th birthday with family in Mo. She was a cute little round lady, full of stories”.